Your Attendees Expect Seamless, Accurate, Instant Information … And Fun. Attendees know what to attend, where to go and if last-minute changes are made. Don't worry about uploading content and media to the app. You send us content and our team handles the rest. The app engages attendees, inviting them to team, collaborate and cooperate to answer questions posed. We’re with you 24/7! From the start of the project through event completion. Enjoy on-site or phone support. We'll incorporate your logo, color palette, key sponsor brands and more into every aspect of visible screens. Developed by meeting planners - field tested by meeting attendees - Mobilized Meetings delivers the features that mean business. Mobilized Meetings includes a programs page showing all event programs (for all days or per day; your choice). Each program’s detail page can be used to provide a detailed description; the program’s room location, date and time, speaker information and bio and more. All such info is displayed on both screens (programs & detail). Personalized, attendee schedules can be presented in one of two formats: 1) manually selected "My Schedule" 2) Pre-registered program selections via RegOnline. People -- even those attending a serious business conference -- still enjoy some fun. 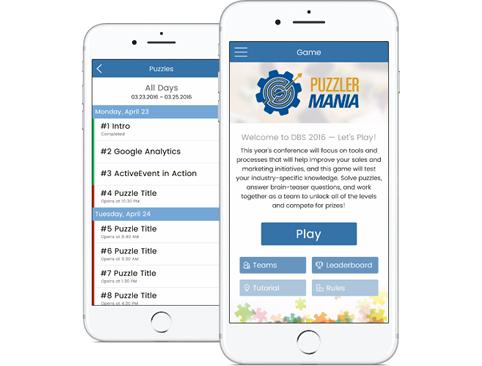 The purpose of including a game as a feature of Mobilized Meetings is to enable meeting managers to gift attendees with a relaxing, enjoyable, mental break, without ever leaving the meeting site. Sponsors are essential to bottom-line event success. 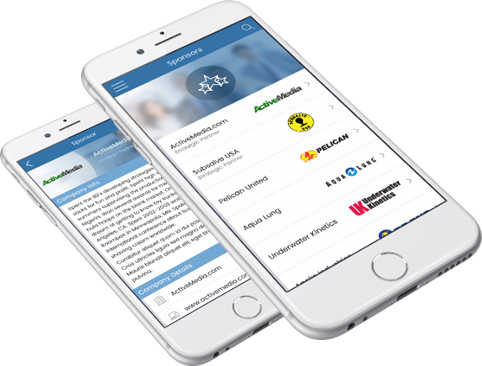 Mobilized Meetings includes a dedicated page listing all sponsors. There’s also an option to add labels for sponsors (e.g. platinum, gold, silver, etc.) to indicate their level of participation and support. These labels can be changed. The sponsor details page provides an option to add a description about the sponsor, but there also is an option to add a “sponsor representative” - a sponsor company representative attending the event. 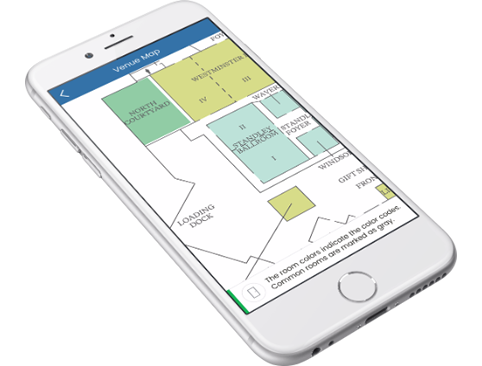 We request a blueprint of the event venue which we slightly modify for untility in the Mobilized Meetings app. We highlight the rooms in which programs take place and use colors for easy identification. This updated map is attached to the app to ensure everyone finds rooms they are looking for. In addition these colors are also visible on the programs screen. But wait .. there’s more. At your request, we can add and even develop a range of custom features, new sections, updated menus and more. If you need it, we’ll make it happen! 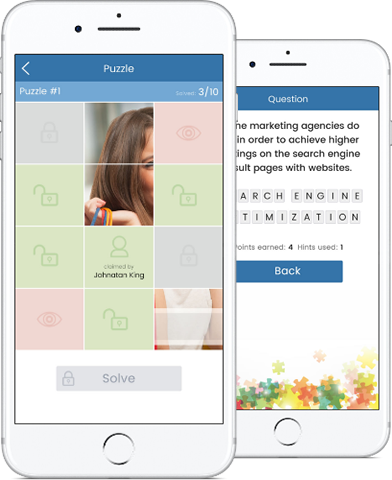 Mobilized Meetings offers a basic game as part of the purchase. However, we also are available to gamify custom concepts to match the meeting’s purpose. An image is split into 12 tiles; the game starts with these tiles covered. Each tile has a question on it. When the question is correctly answered, a part of the image is revealed. The goal of the game is to uncover all the pieces to solve the puzzle. Attendees are in teams (3-10 players per team is ideal). Each team member see the same puzzle and can individually “claim” a question and answer it, and his/her performance impacts the entire team. To keep teaming lively, engaging and productive, during the conference, we advise posting two puzzles per day. Standings are available and posted in the app and also can be reached online. A rules page, team page and a game intro also are included. The game can be locked (e.g., during presentations). Each puzzle can be opened one-by-one on a different day/time. While there are a number of event apps available, only Mobilized Meetings offers a broad spectrum of features and functions, paired with completely customized gaming for each client event and affordably priced, fixed-fee, package pricing that meeting managers want. 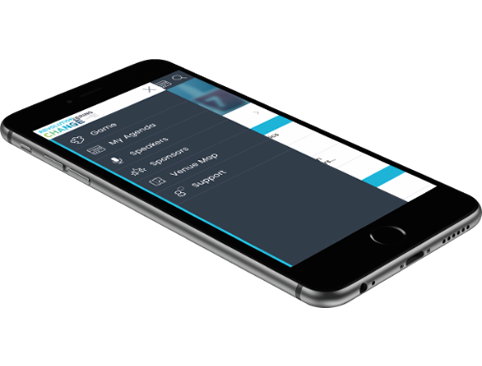 “Mobilized Meetings' innovative app put the entire conference in the hands of event managers, exhibitors, attendees and venue staff, enabling us to instantly communicate about everything from last-minute agenda changes to addressing stubborn tech crises during presentations." Get Your Demo App TODAY. 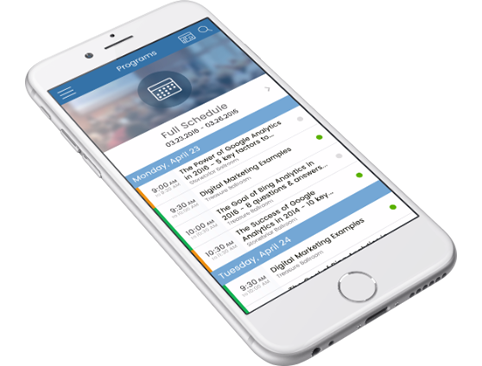 The event app that revolutionizes the attendee experience. 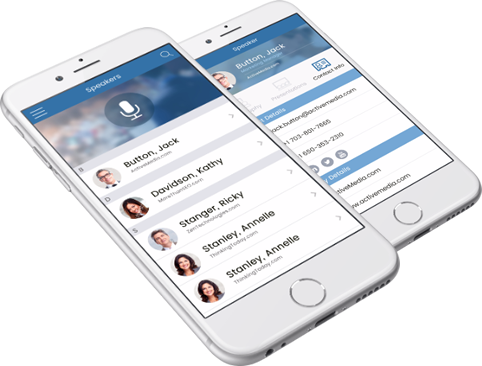 Mobilized Meetings delivers bottom-line success. That is why Fortune 150 companies use us to manage every aspect of meetings from small to large, local to global. 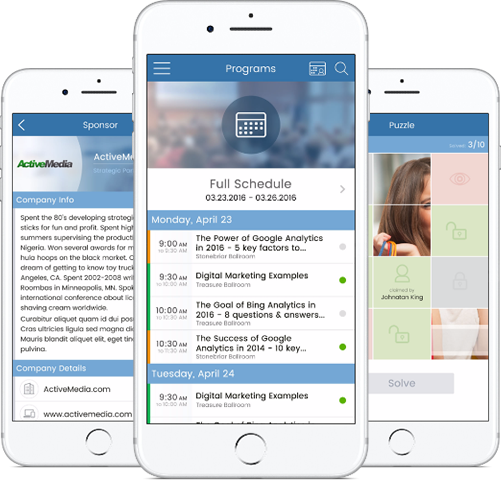 Mobilized Meetings, the Fully Customizable, Affordable Event App, Puts Efficiency, Effectiveness & Versatile Performance In The Hands Of Meeting Managers & Attendees Alike. © 2014-2017 MobilizedMeetings.com. Powered by ActiveMedia.com. All Rights Reserved.